﻿ Eddie's Grill - Ohio. Find It Here. The jukebox is at your table. The lemonade is icy cold and freshly squeezed. The root beer is straight out of the barrel. The hot dogs are famous and the real Slovenian sausage, cheeseburgers and fries are legendary. The chili is a homemade original old world recipe created by Eddies mother, Mary Sezon.For generations, Eddies Grill has been serving up classic 50s style summer American fare in Ohios oldest summer resort town. 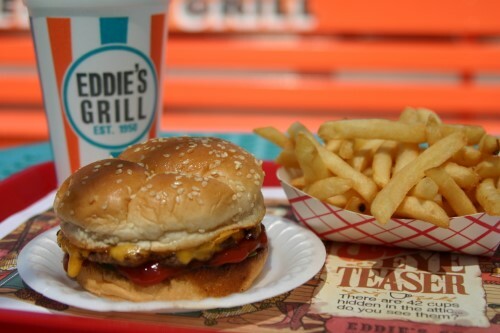 Take a trip back in time with Eddies Grill at Geneva-on-the-Lake, Ohio.Open daily, Memorial-Labor Day at 11 am; weekends starting Mother's Day weekend.